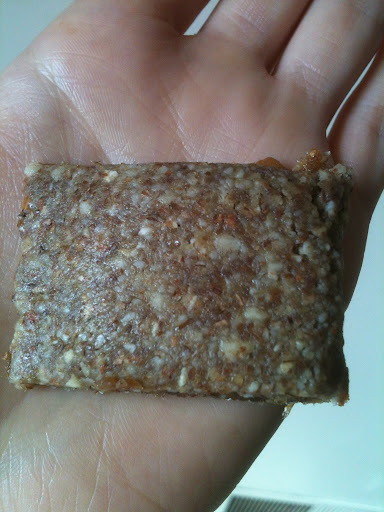 I have really been enjoying bars lately because they are such an easy way to create a perfect healthy and portable snack. Buying bars all the time can cost a lot of money and it can be hard to find a gluten free and vegan bar. 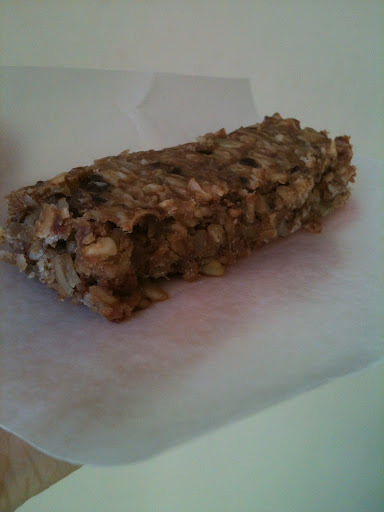 Plus, I like to make sure my bars are high in protein and low in unnatural sugars. I came across this recipe on Pinterest. 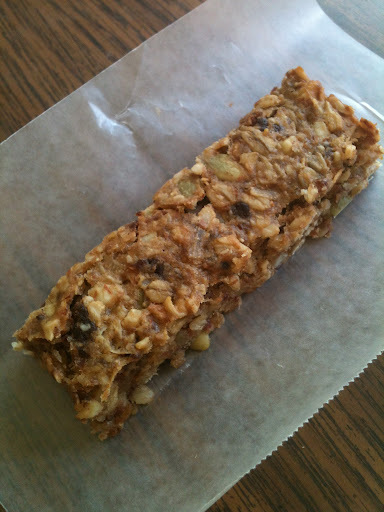 With all the nuts, seeds, and fruit these bars are definitely heart healthy! Preheat oven to 350F and line a loaf pan or 8×8″ pan with parchment paper. Set aside. 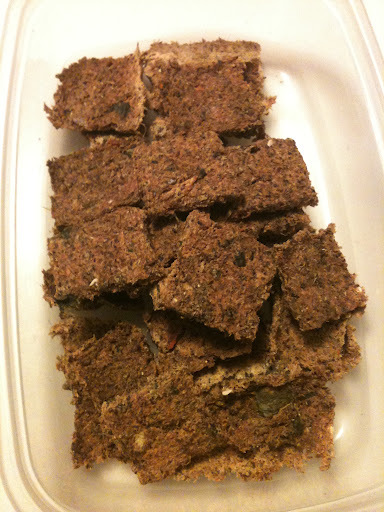 In a food processor, coarsely chop almonds, dates, and cherries. Add in the coconut flakes and pulse for a couple seconds, just to incorporate it into the mixture. Transfer mixture into a medium bowl and mix in the pumpkin seeds and oats. Then, fold in the peanut butter and banana mixture. Let cool completely before cutting. 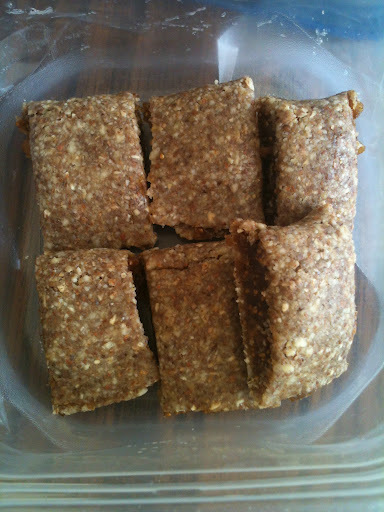 Then, wrap individually in wax paper for healthy snacks that are ready to-go! 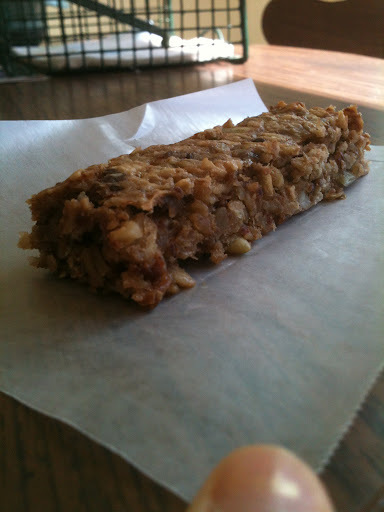 Using an 8×8″ pan, I made 12 bars with this recipe. I stored 5 bars in the fridge for the week in a ziploc bag. The other bars I put in a ziploc bag in the freezer to keep them fresh. I plan on replacing the bars in the fridge at the end of the week so I’ll have more ready to-go snacks. Of course the bars in the freezer would also be good if you plan on taking one with you but not eating it immediately; it will be thawed out by the time you’re ready to eat it! I loved how you could taste every flavor throughout the entire bar with every single bite! Based on making 12 bars, one bar yields approximately 200 calories and 6.5g protein. This Monday for Meatless Mondays from A to Z is Ginger for the letter G.
I have never really used ginger before unless you count ginger powder in pumpkin pie. I was really excited to go out of my element here and try fresh ginger. 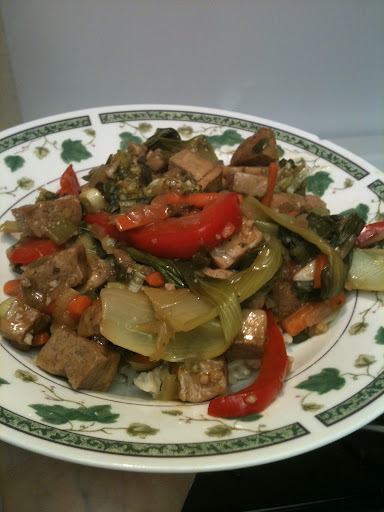 After researching recipes I came across a Garlic Ginger Stir Fry which sounded delicious. I was excited to try out this stir fry because this is the first real stir fry I have ever made! Normally if I’m in the mood for stir fry I’ll just order take out or heat up a bag of frozen mixed veggies, put it on top of brown rice, and add some tamari. I would definitely make this stir fry again! 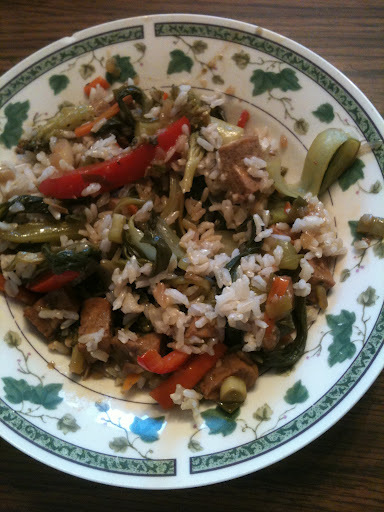 It is so good with freshly made brown rice and freshly chopped vegetables all cooked in a garlic ginger sauce! 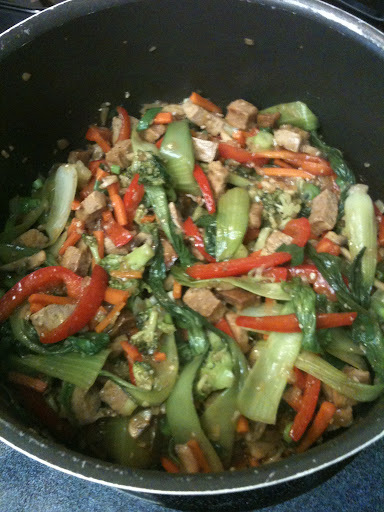 While the tofu is baking, blanch carrots, broccoli, and bok choy in boiling water for 2-3 minutes and set aside. Heat the oil in a large pan over medium-high heat. Add onion and saute until just tender. Then, add garlic and ginger and continue cooking for another minute. Add tofu, mushrooms, and red pepper and cook for a few more minutes until everything is heated. Add tamari and vinegar and bring to a boil. In a small bowl, combine cornstarch with a little water. Add mixture to the pan of veggies and stir until thick. Add green onions and serve over brown rice or rice noodles. Don’t be overwhelmed by all the ingredients. Once everything is chopped, it does not take long to cook. It also only requires one cutting board, a knife, and a pan so it is pretty easy clean up as well. You can also prepare the veggies earlier in the week or day so that when you are ready to cook, you can just toss everything together! All the veggies and tofu in the pot waiting to be served over brown rice! 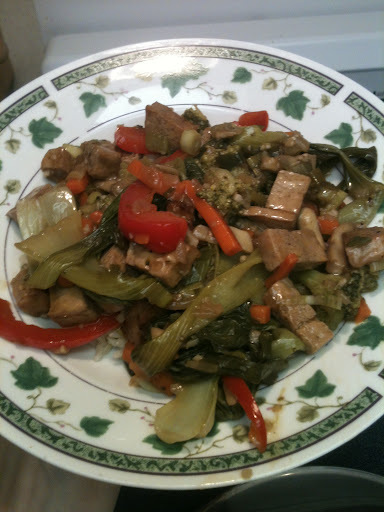 The flavors of this stir fry were perfect together! Wow I haven’t done an oatmeal recipe in a long time! Even though I have been eating oatmeal about once or twice a week, it has just been oats prepared the night before with some kind of fruit mixture or pumpkin. Nothing really special. 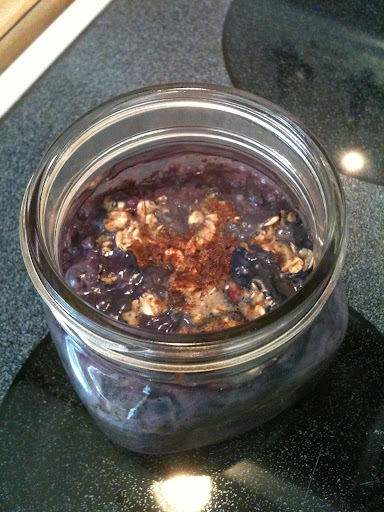 However, this recipe was a new one for me – Fruit on the Bottom Baked Oatmeal. The original recipe calls for blueberries, which I did not have so I used blackberries, but of course any kind of fruit will work! 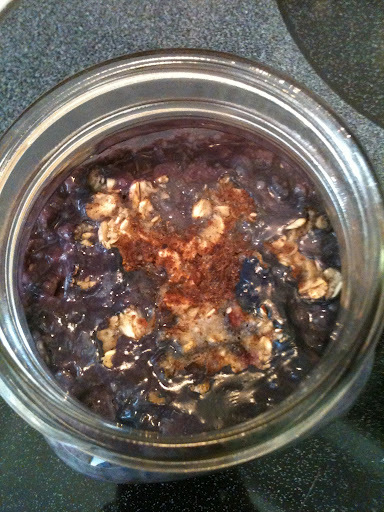 Place a handful of blackberries in the bottom of a mason jar. 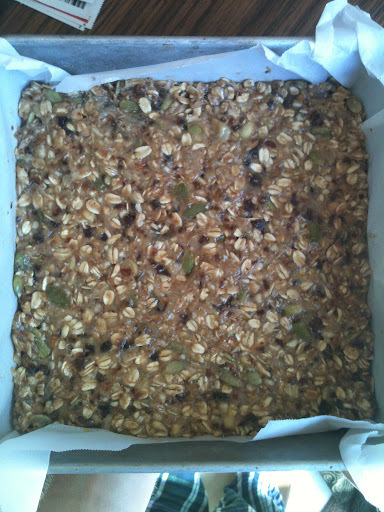 Pour oat mixture on top. Bake for 30-35 minutes. If you want it to be crispier on top, turn the oven to broil for the last 3 minutes of baking time. I actually made this the night before because I knew I would be pressed for time in the morning. I just reheated it the next day in the microwave. I would not recommend this since it looked and smelled so much better when it came out fresh from the oven. What I do recommend (and what I will do next time) is prepare all the dry ingredients the night before in a small container and wash and put the fruit in the bottom of the mason jar so that is already to go. In the morning, mix the dry oatmeal mixture with almond milk, pour it on top of the fruit, and bake while showering and getting ready for the day. And if after baking it you don’t have time to eat, it’s already in a convenient jar which you can take with you and eat when you get to work! Another day of Meatless Mondays from A to Z and it is the sixth week. The sixth letter in the alphabet starts with F for Figs! Just this summer I had discovered figs (besides from the packaged Fig Newtons I used to eat) and they are amazing! 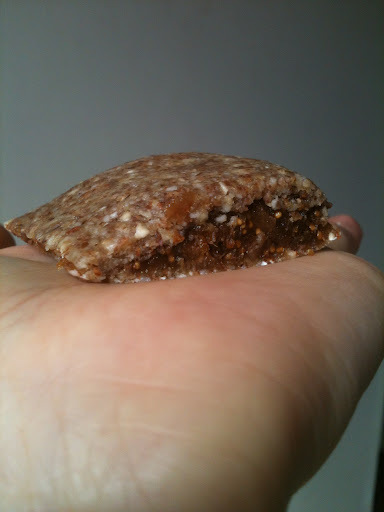 The first thing I thought about making with figs for today was Fig Newton Bars, but I have already made these before and wanted to try a new recipe with figs. I still made Fig Newtons, but these one are raw and look more like the Fig Newtons I used to buy rather than bars. In a food processor, blend figs with one tablespoon of water (if needed) to create a sticky and spreadable paste. 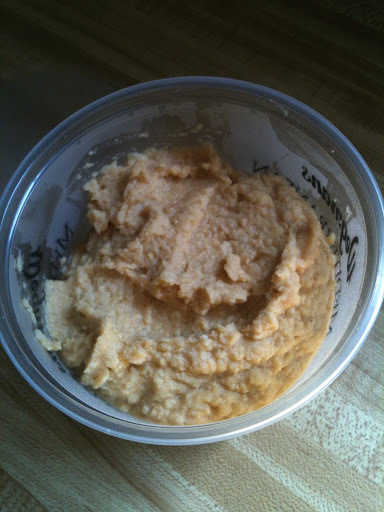 Put the paste into a small bowl and set aside. In the food processor, add almonds and blend to break them down into small pieces. 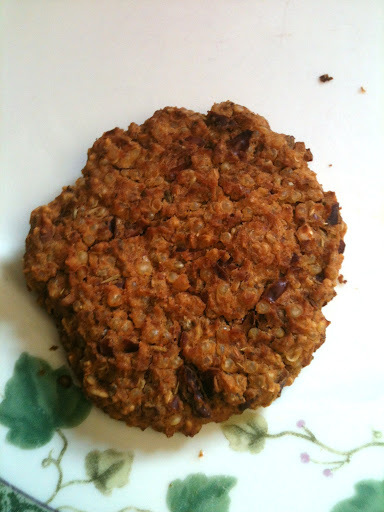 Add flax seeds and oats and continue blending until a flour like consistency is reached. Add agave and blend until a dough forms. Cut the square in half, so you have two rectangles. Take half the fig paste and spread it across one of the rectangles leaving a border along the longer sides of the rectangle. Do not leave a border at the shorter sides of the rectangle. 8. Take the rest of the fig paste and do the same thing to the second rectangle. 9. Fold each of the rectangles over (lengthwise) and pinch the longest sides together. 10. Cut into bite sized pieces. 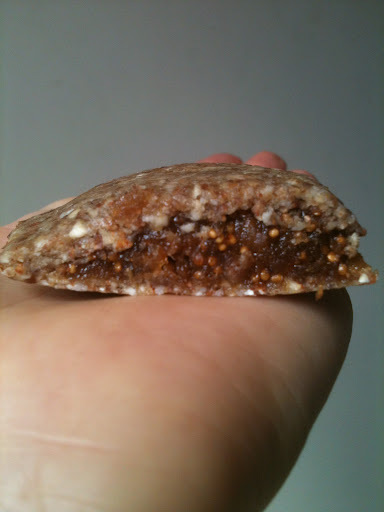 I made a total of 15 Fig Newtons (not counting the pieces of dough and fig paste I ate as I made these :-p) Store these treats in an airtight container in the fridge for up to three or four days. 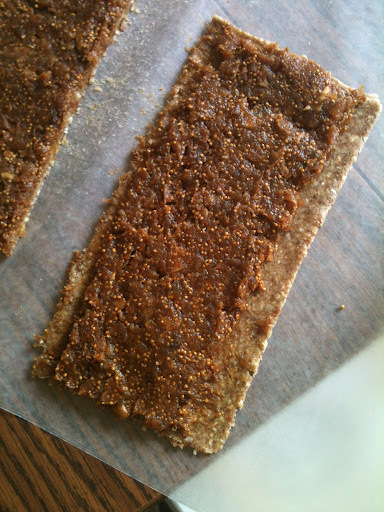 Almost like real Fig Newtons – only much better tasting and so much healthier! I also have some extra fig paste left over. 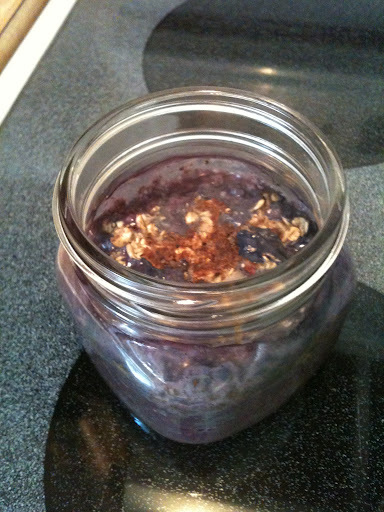 Hmm…Overnight Oats? Pancakes? Oh the possibilities!!! I have seen several versions of socca bread online. This is one of my favorite versions. I love the seasonings in the crust and how the edges get crispy but the middle is softer, which is how I like my pizza. Even though the middle is softer, the crust still holds together completely! Even with all the toppings! 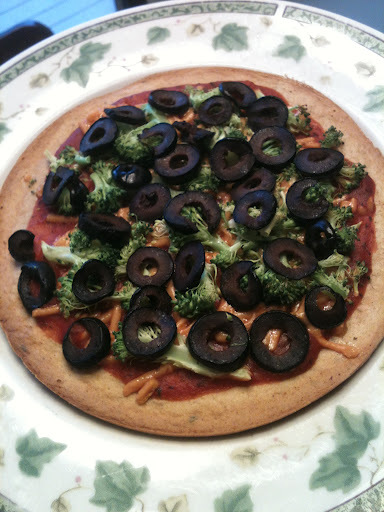 Pizza with broccoli and olives! Mix all ingredients together in a small bowl. Pour into a nonstick 8″ round springform pan. Using a spatula, carefully transfer crust to pizza stone or cookie sheet. Add sauce, cheese, and any additional toppings. Bake for an additional 8-10 minutes. I absolutely loved the seasonings in this crust (sorry I didn’t make exact measurements), they all tasted terrific together though. It holds together. There were absolutely no cracks in the crust and it was very easy to handle. I loaded up my pizza with veggies and the crust was firm enough that I could eat this without a fork. It wasn’t too crispy (if you want a crispier version bake it a little longer), but it wasn’t too soft either – just perfect! The ends of the crust didn’t burn! Sometimes this happens because the middle takes longer to cook, but this crust cooked evenly! I tried to take a picture so you could see how the crust is not that thick. I used to love thick crust pizzas, and if I had the choice would probably still choose thick over thin. 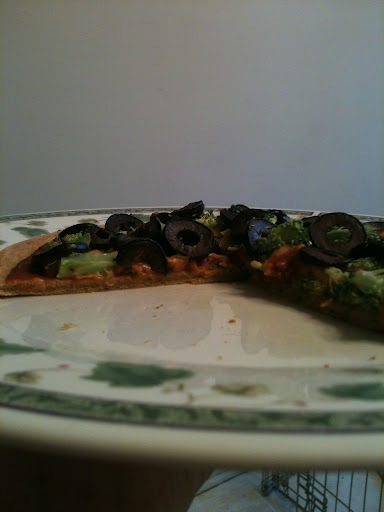 However, this crust didn’t have the too crispy taste of thin crust pizza but it was dense enough to be satisfying. 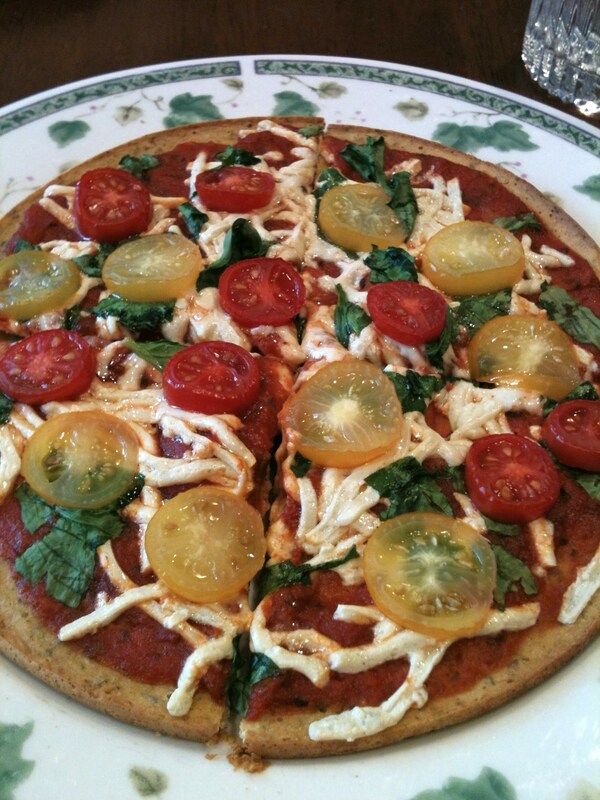 Pizza with spinach and red and yellow tomatoes! 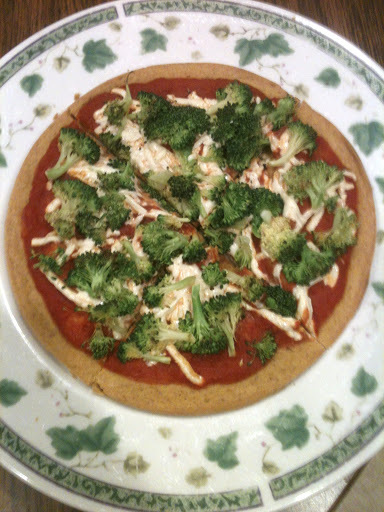 This entire crust recipe yields approximately 250 calories and 15g protein. I like to have a juice about once a week. It’s a good way for me to make sure I’m getting enough veggies, vitamins, and minerals; especially on weekends. Lately, on Sunday’s I start my day with a green juice. Well, if you have ever juiced before you know that the point of juicing is to get only the juice out of the fruits and vegetables leaving behind the harder to digest parts, known as the pulp. I do not like to just throw this pulp away because it would be a waste, plus it is full of fiber! 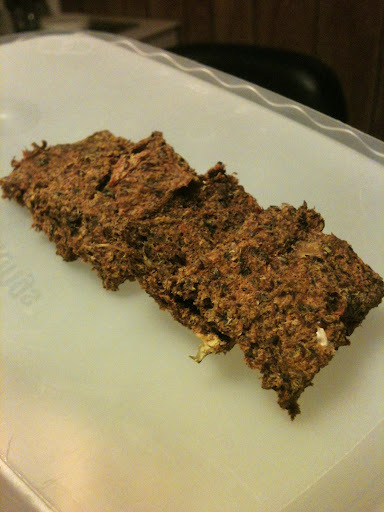 I’ve read that you can put it in a compost, create a veggie broth with it for soup, or turn it into crackers! The last time I had a juice, I decided to try these crackers. Add all ingredients into a food processor and blend. You can also just stir all ingredients together in a bowl if you don’t have big pulp chunks. Spread the mixture onto a cookie sheet so you have one big thin rectangle. 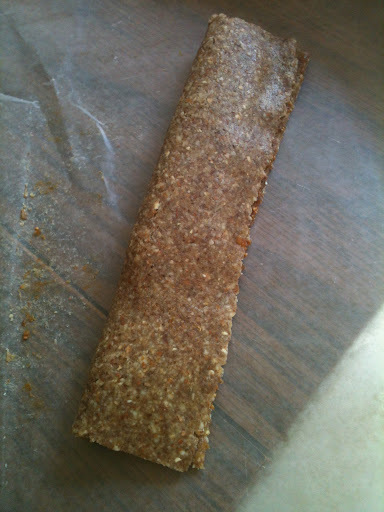 Drag a knife through the thin mixture to slice into crackers. This will help the crackers break up easier after baking. Bake for about 45 minutes to 1 hour depending on how crispy you want your crackers. 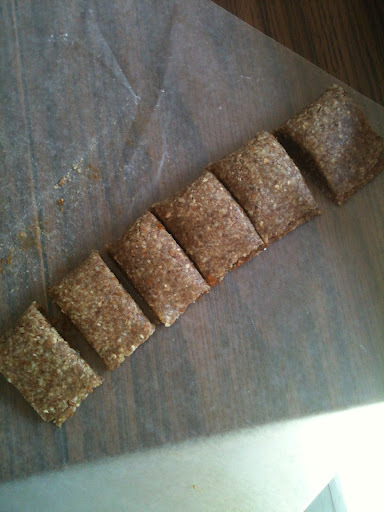 After baking, allow to cool, then break apart into crackers. After I baked these, they were still quite soft which is why I call these cracker bread since they are more like bread. However, since I wanted them more crispy for crackers, I ended up putting mine in my dehydrator at 115F for about 7 more hours. Either way works though! These crackers are best eaten the day they are made. I also highly recommend using a sweeter pulp from a juice that has a lot of fruit, the crackers/bread will taste much better! They also taste great with hummus! 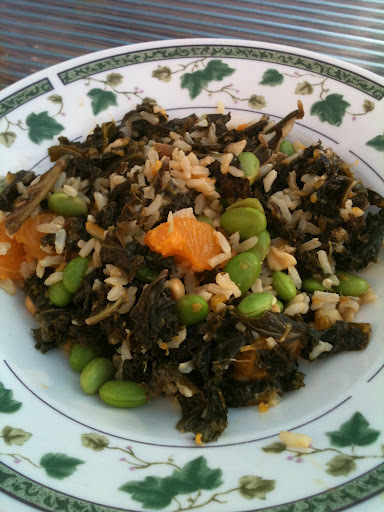 The fifth week in Meatless Mondays from A to Z is for the letter E and the food is Edamame! I actually had a recipe I wanted to try from pinterest that had edamame in it so I knew this would be a perfect opportunity to make this rice bowl. Cook the brown rice and edamame according to the directions on the packages. If you want cooked kale, saute over medium high heat in balsamic vinegar for about 10 minutes. 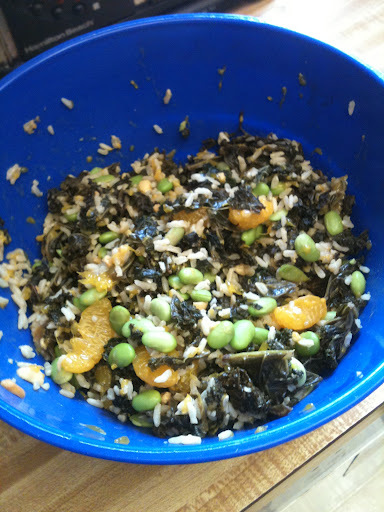 In a large bowl, combine rice, edamame, kale leaves, and mandarin oranges. In a small bowl, combine peanut butter and apple cider vinegar and mix to combine. It will be very thick, it might help to heat in the microwave for a few seconds. Pour the peanut mixture into the large bowl and gently mash the peanut mixture with the other ingredients until everything is evenly coated. (I found it easiest to do this with my hands). Enjoy this meal hot or cold! 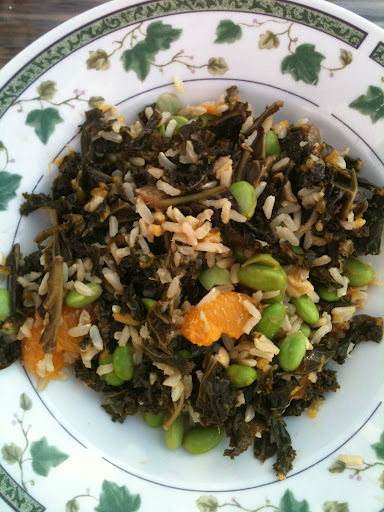 This recipe was tasty, quick (especially if you cook the rice ahead of time and don’t saute the kale), and had minimal clean-up. I will be making this meal a lot in the future! Maybe next time I’ll even try using baby spinach leaves instead of kale leaves! Even though buckwheat has the word “wheat” in it, it is actually a naturally gluten-free seed even though many people think it is a grain. 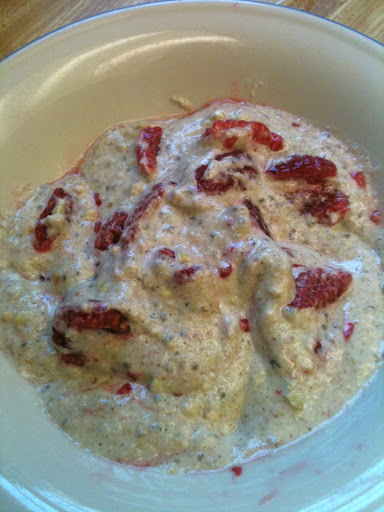 It can be eaten as a topping for salads or yogurt, or you can turn it into a creamy porridge. That is exactly what I did as a delicious and very filling breakfast after I came across a blog with this amazing recipe. Buckwheat is great when you want to switch it up from the normal oatmeal. And just like oatmeal, you can add any flavorings, fruits, etc. to create different variations! 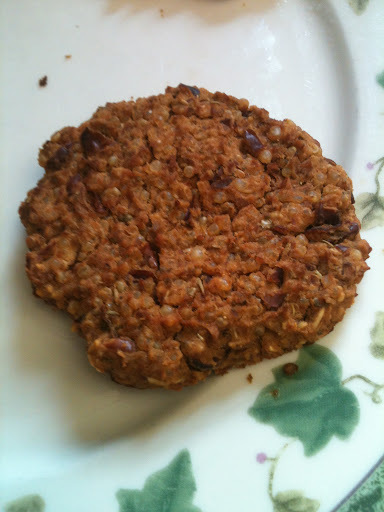 Optional: fresh fruit, dried fruit, nuts, seeds, nut butter, coconut flakes, chocolate chips, granola, etc. In a bowl, combine buckwheat groats and water. Soak for at least 1 hour or overnight. After an hour (or in the morning), rinse the buckwheat groats very well in a strainer several times. 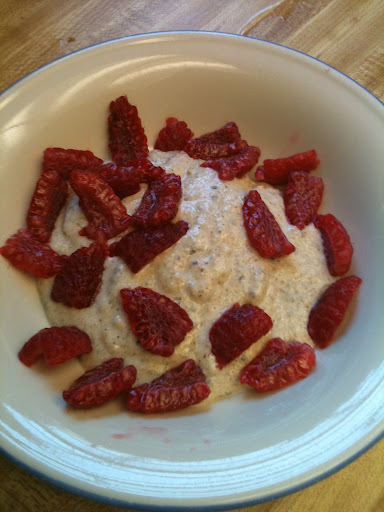 Combine the buckwheat groats, almond milk, chia seeds, and vanilla in a food processor and blend until slightly smooth. Stir in the agave and cinnamon adjusting to your taste. Serve cold with any optional toppings! 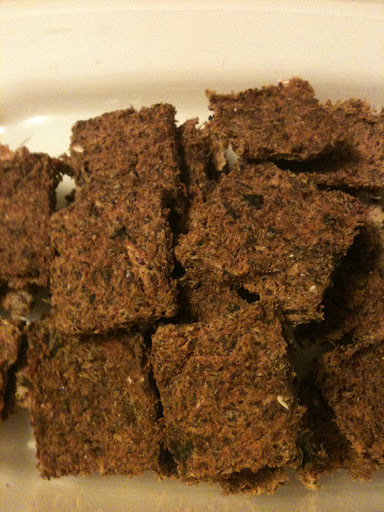 If you want to have more texture, I recommend only blending slightly more than 1/2 the buckwheat groats. Then, when you stir in the agave and cinnamon you can add the remaining buckwheat and stir everything together. I also thought it would be important to note that I was reading the comments about this porridge for the original recipe and someone commented that they tried heating this up in the microwave and it just stuck together into a ball. Another person said they heated it in the microwave and just added more almond milk to thin out the porridge and that worked. I haven’t tried this porridge warm so I’m not sure how this method would turn out for me. 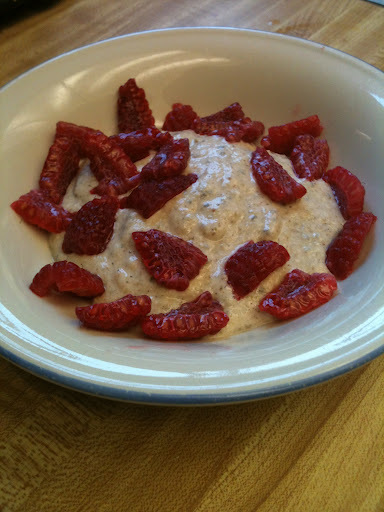 like Raspberries and Cream Buckwheat Porridge!